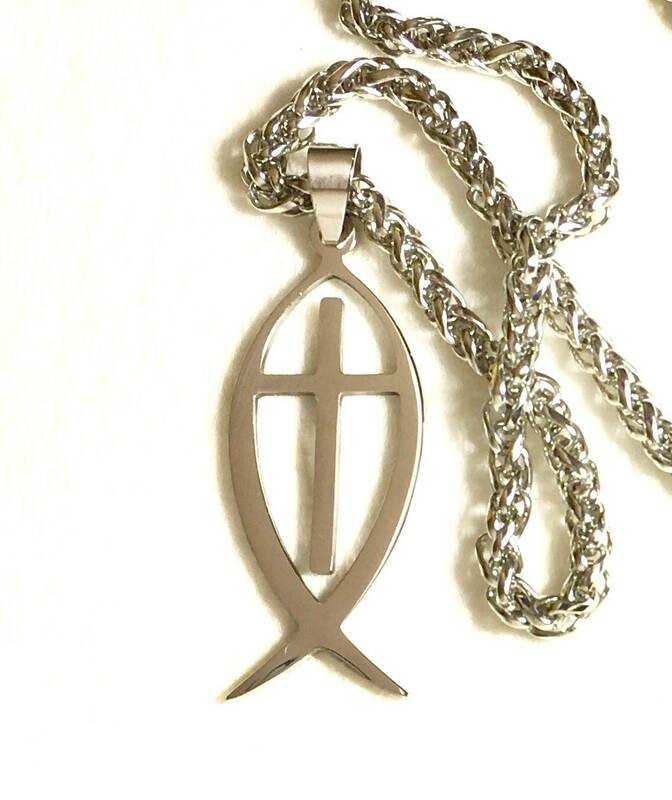 New Fashion Cross inside a Fish Outline. 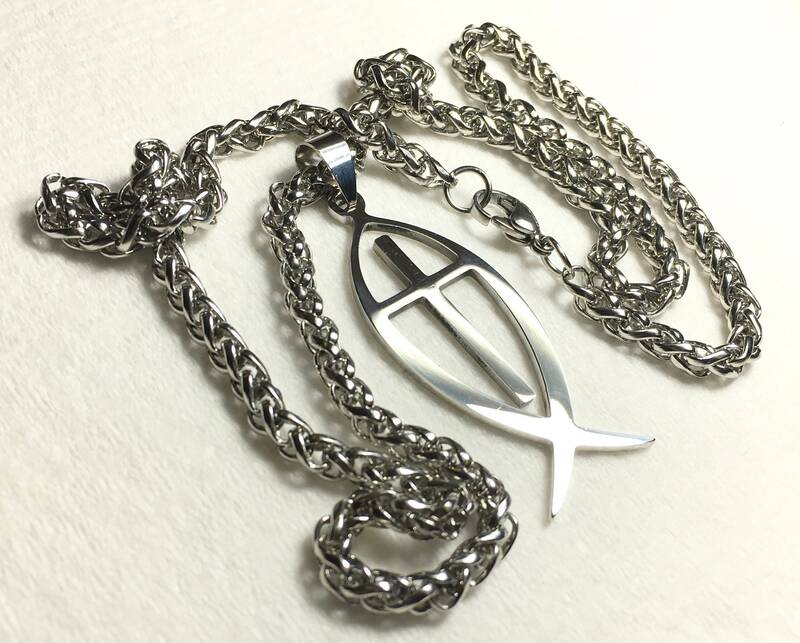 High Gloss Silver finish with all stainless steel Pendant. 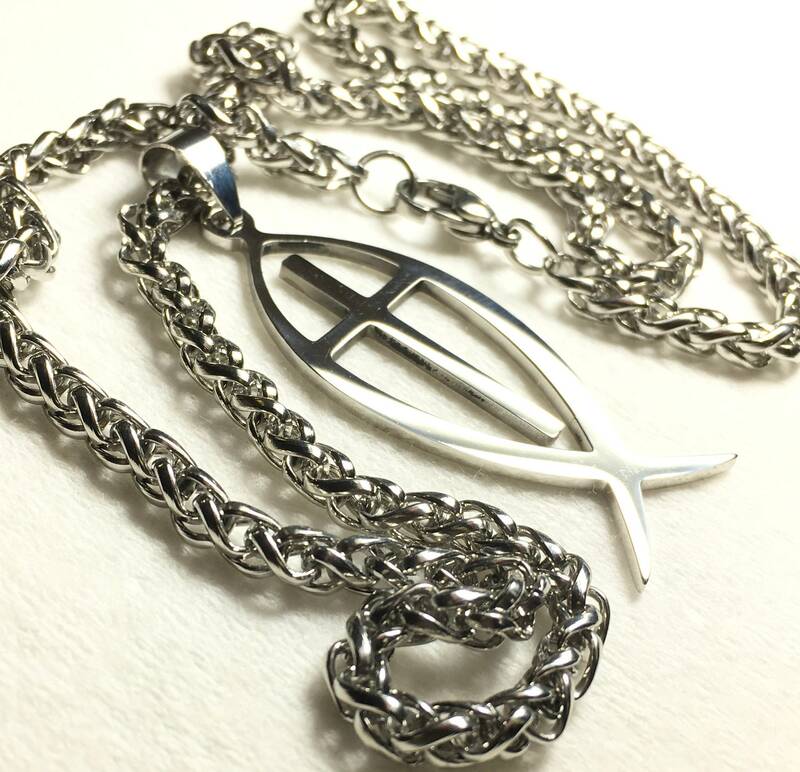 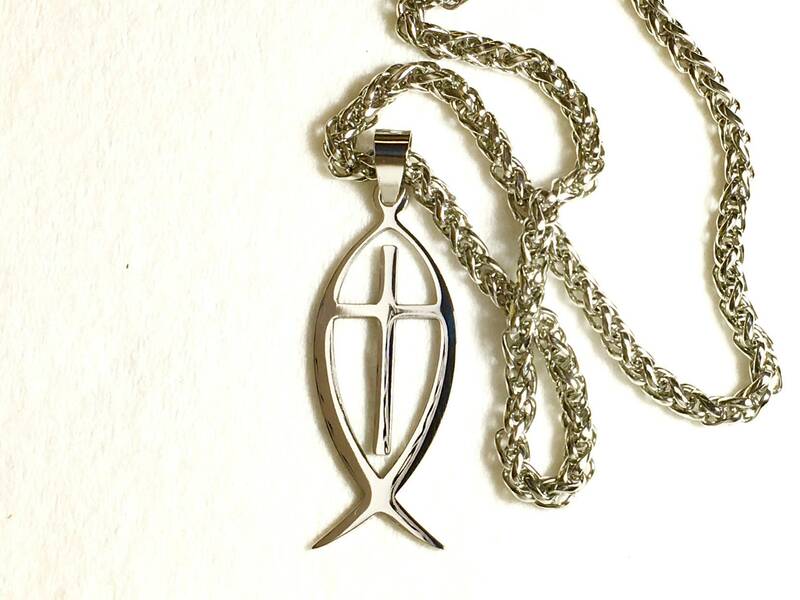 Elegant Ichthus Ichthys ΙΧΘΥΣ Greek Fish and Cross Pendant and Necklace. 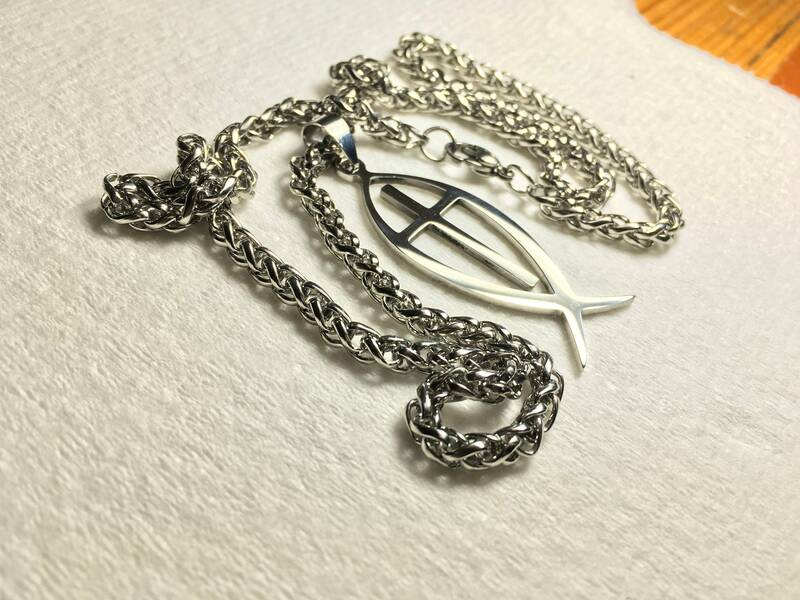 Measures 1 1/2" long and 3/4” wide. 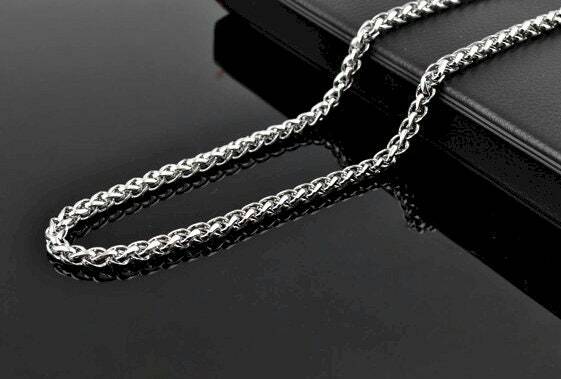 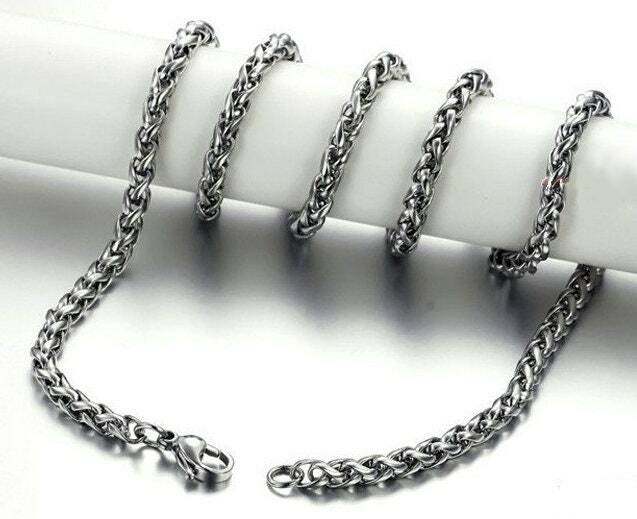 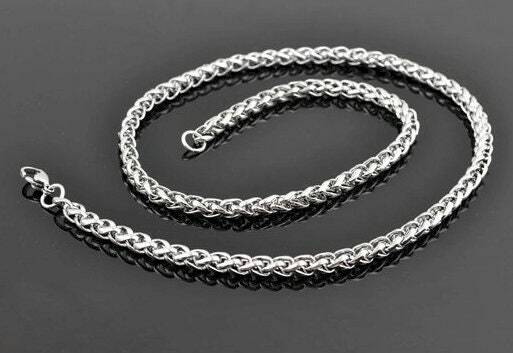 Comes with our exclusive Heavy all Stainless Steel 4mm wide x 20” braided snake chain chain with positive locking lobster clasp.